Mouth of the San Bernard facing south toward the Gulf of Mexico. Waves break over a large shoal located just offshore from the beach. 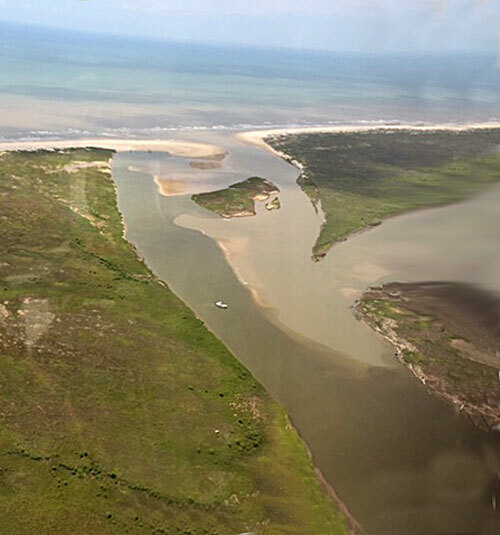 The photo shows a boat sitting closer to the east bank, the deeper part of the river, but it is still very shallow and caution should be used when traversing this part of the mouth. Water can be seen flowing out to the Gulf but this area is extremely shallow and not navigable by boat. Walk to the Gulf!